Boeing and GE Capital Aviation Services, the commercial aircraft leasing and financing arm of General Electric, have announced an order for 75 737 MAX 8 airplanes. The order, booked in December, is valued at $8.25 billion at current list prices. 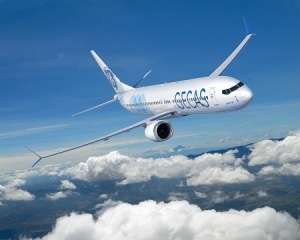 The follow-on order increases the GECAS firm order book for the 737 MAX to 170 airplanes, the largest of any aircraft leasing company. “These new orders will enable GECAS to serve our clients’ needs – assisting in managing their fleets, transitioning aircraft and providing new equipment,” said Alec Burger, president, GECAS. To date, the 737 MAX has accumulated 3,419 orders, making it the fastest-selling airplane in Boeing history. ← 2016 – one of the safest years in aviation history?